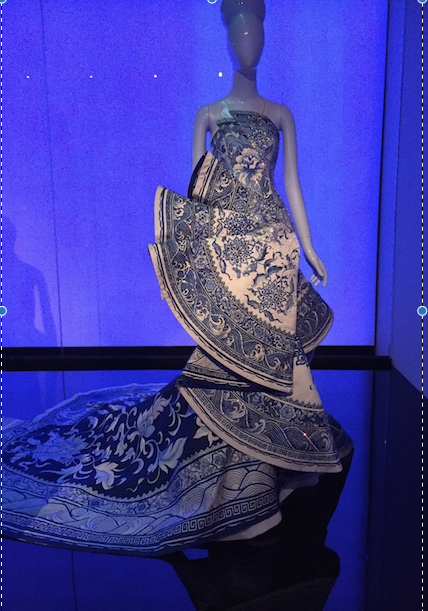 The most wonderful show, China Through the Looking Glass, has opened at the Met Museum and will be up until August 16. 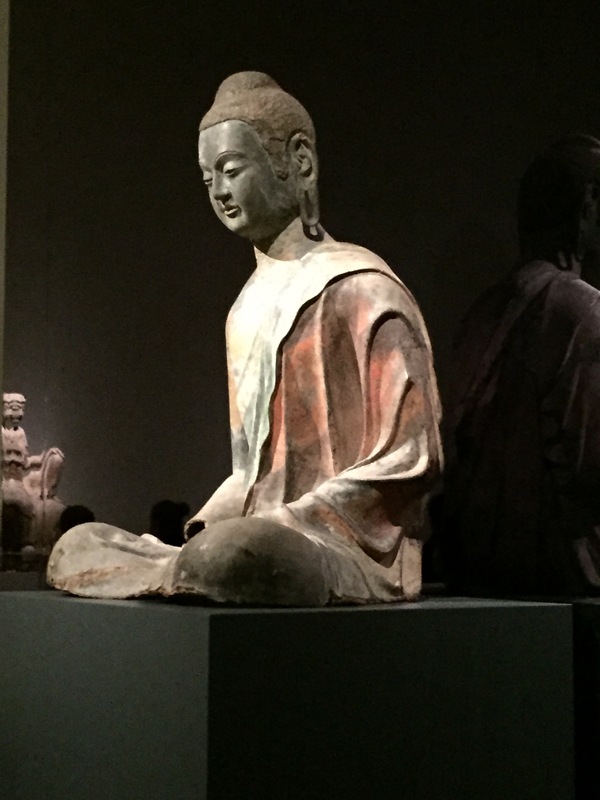 It is a stunning, meandering journey through a (mostly) Western fantasy of China. 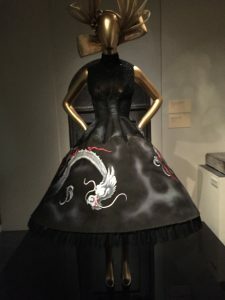 The marvelous mannequins – with heads and headdresses designed by milliner Stephen Jones – inhabit three floors, the second of which encompasses the Museum’s many rooms of Chinese art including the famous Astor Court. 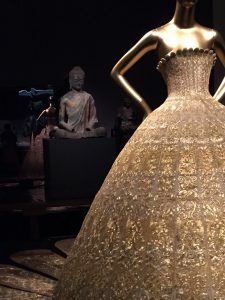 The sprawling show is multi-vocal, encompassing music and film, art objects, scrolls, and Buddhist art, which, together, produce a fascinating, sometimes familiar, always romantic view of a culture on the other side of the world. 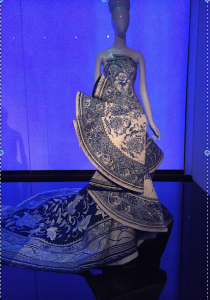 The haute couture fashions are set in their appropriate rooms – the blue and white above, for example, is surrounded by blue and white porcelain, and dresses with Chinese characters appear in the hall of scrolls. Gao Pei’s magnificent saffron gown holds center place in my favorite room of Buddhist figures. One of the loveliest things about this show is the wide cultural net that is cast. 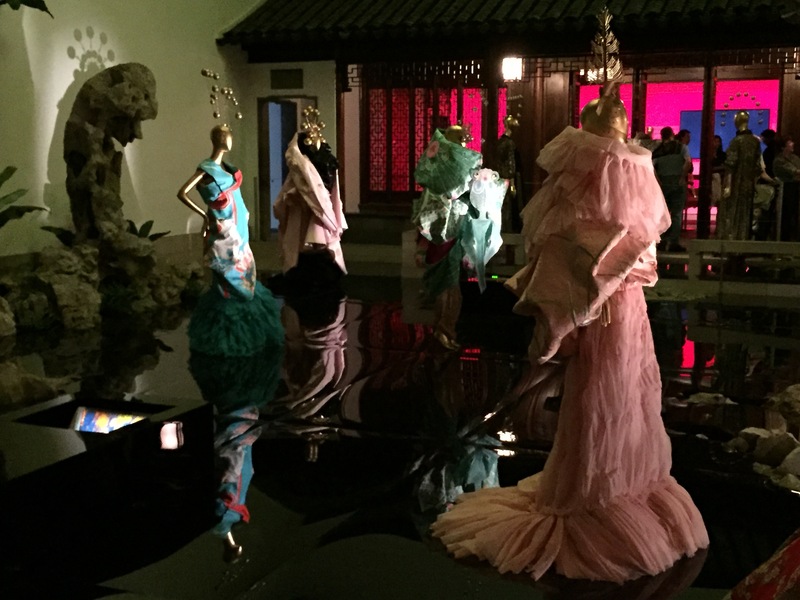 In one fell swoop you are seeing wonderful clothes, listening to evocative music, enjoying scenes from Wong Kar Wai’s films, and revisiting the art treasures of the museum’s collection. 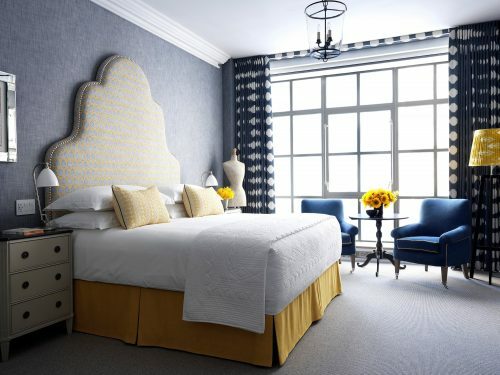 You emerge from the show, heady with enchanted imagery and great beauty.